The domestic equities market is likely to be guided by RBI's policy review -- slated for Thursday -- and the release of PMI data for the manufacturing and services sector for March, among other factors. The six-member monetary policy committee (MPC) of the Reserve Bank of India (RBI) will decide on the policy repo rate, which might be cut by at least a quarter percentage point in the meeting, according to a Business Standard poll, comprising three top bank treasurers and 12 senior economists. The PMI data for the manufacturing and services sector will be released on Tuesday and Thursday, respectively. Moreover, auto firms will announce their monthly sales data for March, starting Monday. 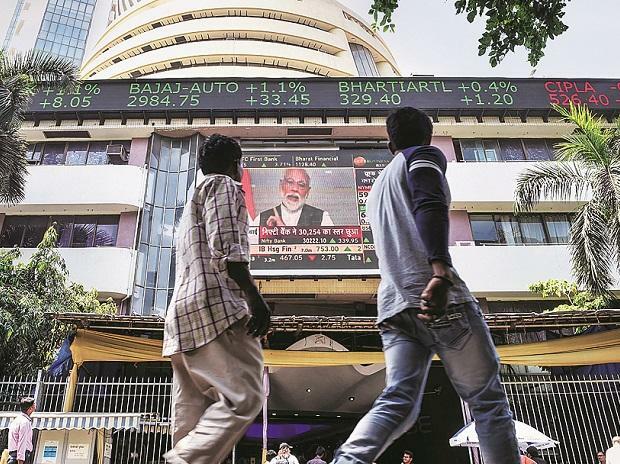 The countdown to Lok Sabha elections 2019, scheduled to be held in seven phases beginning April 11, may also affect market sentiment. On the global front, China and the US will continue their high-level trade talks, about which Washington has said their negotiators were making "great headway" with Beijing in talks aimed at ending a bruising tariffs battle between the two economic superpowers. After the third defeat of Theresa May's divorce deal on Sunday, the Parliament will vote on different Brexit options on Monday and then May could try one last roll of the dice by bringing her deal back to a vote in parliament as soon as Tuesday. Globally, several sets of global macroeconomic data including eurozone's inflation data, China's manufacturing data and US unemployment numbers are set to be released this week. The benchmark indices ended on a positive note on Friday, the last trading day of the financial year (FY19) 2018-19. The S&P BSE Sensex ended at 38,673, up 127 points or 0.33 per cent while the NSE's Nifty50 index closed above the crucial 11,600 level at 11,624, up 54 points or 0.47 per cent. Asian stocks rose on Monday, as signs of progress in U.S.-China trade talks and firmer Wall Street shares supported sentiment. MSCI’s broadest index of Asia-Pacific shares outside Japan added 0.35 per cent. Australian stocks climbed 0.85 per cent, South Korea’s KOSPI gained 1.1 per cent and Japan’s Nikkei advanced 1.6 per cent. Auto stocks: Automobile companies are set to announce their monthly sales data for March. Jet Airways: The National Aviator's Guild, Jet Airways' pilot body, on Sunday deferred to April 15 its call of halting operations. Titan: Titan has increased stake in its jewellery subsidiary CaratLane to 69.47 per cent with an investment of Rs 99.99 crore. Cipla: Drug major Ciplahas received eight good manufacturing practices (GMP) observations from the US health regulator for its Kurkumbh facility in Maharashtra.